I’d like to say the city has grown on me, but the truth of the matter is that I’ve shrunk in. Cozied in. Mellowed to fit into the tiny pockets of relief in this place with no face. Who am I to say that is not as good? It’s been a while since I’ve written everything. My last foray into my own brain was last November, which I spent on the beach to write my novel while Samira was in Ecuador to (re-)discover her roots. And now, one year later, we are apart. This time it is I who has left, leaving her behind. We knew it was only a matter of time back then, as we do now. But any measurement of time is meaningless between two people who share but an instant in a day together and an eternity in a minute apart. Am I on a similar quest of self-discovery? When I put it this way, it seems vain. Futile. And too touchy-feely for my own taste. Not my cup of tea. There, another tired cliche. 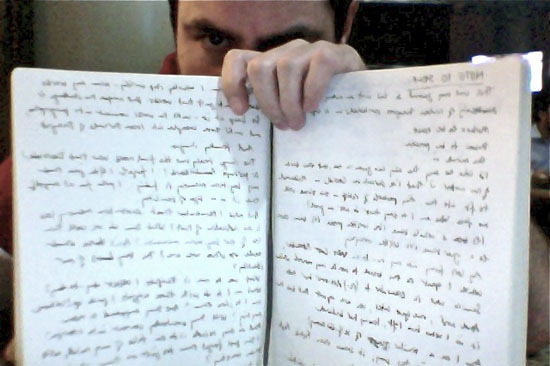 This is when I usually stop writing — when my words devolve into just that: words. But maybe the challenge is to keep at it — until the words connect into paragraphs, and until those untangle into loose threads of thought. The image truly has the final word. Was that Derrida? Or perhaps Baudrillard. I forget. I often joke that my long-term memory is fading. I poke fun at myself that it’s a sign of senility. But now I remember that short-term memory loss is an indication of that. What then do we call the loss of our long-term memories? Aren’t those what make us who we are? The very basis of our identity? What use to me are thoughts I collect day-to-day? What am I to do with those nuggets I pick up? Where am I to store them? Are they supposed to mean anything? Will they eventually connect into images? And as they recede into the folds of my mind, will I then forget them just as they start to mean something? Is this a flight from significance? I feel what you are saying but can one give caltiry without the receiver internalizing it and making the concept their own? We as academics certainly need to strive for caltiry and for relevance, but we also need to facilitate the learner trying it on and moving it from shallow learning to deep learning something that takes time (and effort).A good post that has me reflecting on my caltiry as a teacher. If we knew how to put everything in nutshells, we would be out of a job!